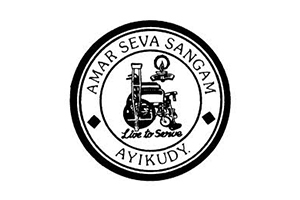 As a part of the various initiatives Amar Seva Sangam is participating in Skechers performance Chennai Marathon 2019 to support Siva Saraswathi Vidyalaya, to educate and empower the rural poor and physically challenged children, a primary school in Ayikudy village way back in June 1981 with just 5 students. Encouraged by the successful implementation of the program and the persistent demands of the rural population, the primary school was gradually upgraded to the present higher secondary level by 2015. This could be possible only because of the whole-hearted financial support and blessings of our donors and well-wishers. 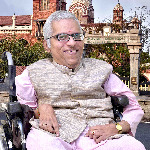 Our school provides a rare and excellent opportunity to the physically challenged students and the other students to study together and get to know each other. The current strength of students is 744. Over the last six years, our 10th tandard students had scored 100% success results, while the same results were obtained by our 12th Standard students since last two years – the first batch of 12th Standard students appeared for exams in March 2017.